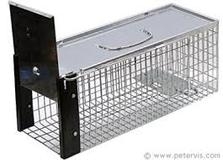 Rat Cage Trap - Single Live Catch Trap for catching and trapping rats alive. This is a humane trap for use inside the house or outside in the garden. In the home disease carrying rats bring an added problem as they tend to start chewing electric wiring etc. Our Rat Cage Trap will let you stop and get rid of your rat problem humanely. Made of galvanised steel and is rustproof for long life. 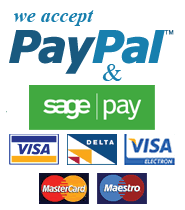 Full Instructions on how to set the trap comes with this product.